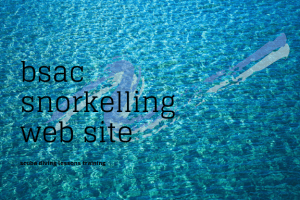 Snorkel – so that we can continue to breathe comfortably when our face is in the water. The equipment is usually made of rubber and plastics compounds and should be sufficiently supple to fit well without any discomfort. Sometimes we may spend many happy hours snorkelling, so it is important to make sure that everything fits well. 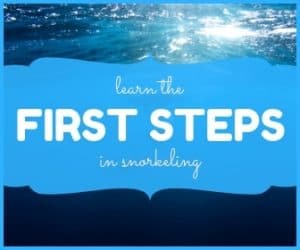 Safe snorkelling requires quality equipment made for snorkelling or diving, so ensure that it is intended for the use you intend to put it to. Avoid low quality equipment that may have an attractive price but may fall down on comfort and effectiveness. If you are on holiday in a warm country, then the first step is to protect yourself from strong sun while snorkelling. Sunscreen creams may wash off in the water while snorkelling so it is wise to wear a T-shirt to protect the most sensitive areas. If you stay in longer, or are in cooler water, then some form of thermal protection will be needed. This can take the form of a lycra or neoprene suit which, while keeping you warm, can also protect you from other matters such as abrasion or stings.